Ryan Kellogg fired two scoreless innings out of the bullpen in the loss for the Birds. LYNCHBURG, Va. (May 6, 2018) - Lynchburg Hillcats starter Zach Plesac threw a complete-game shutout on Sunday afternoon to blank the Myrtle Beach Pelicans 4-0 from Calvin Falwell Field. Plesac (2-2) allowed just two hits over his nine innings of work. He struck out three without walking a batter on just 74 pitches. Lynchburg (14-15) found the scoreboard in the bottom of the third inning when Mitch Longo plated Logan Ice with a sacrifice fly to make it 1-0 Hillcats. Lynchburg blew the game open with a three-run sixth inning off of Pelicans (12-18) starter Jose Paulino (0-4). Li-Jen Chu coaxed a bases-loaded walk before Emmanuel Tapia knocked in another run with a fielder's choice to give the Hillcats a 3-0 lead. Paulino then balked home Alexis Pantoja to make it 4-0. Paulino allowed all four runs over six innings of work for Myrtle Beach, striking out six and walking one. Wladimir Galindo picked up the Birds' first hit in the fifth. Daniel Spingola doubled in the sixth for the other Pelicans knock off the game. 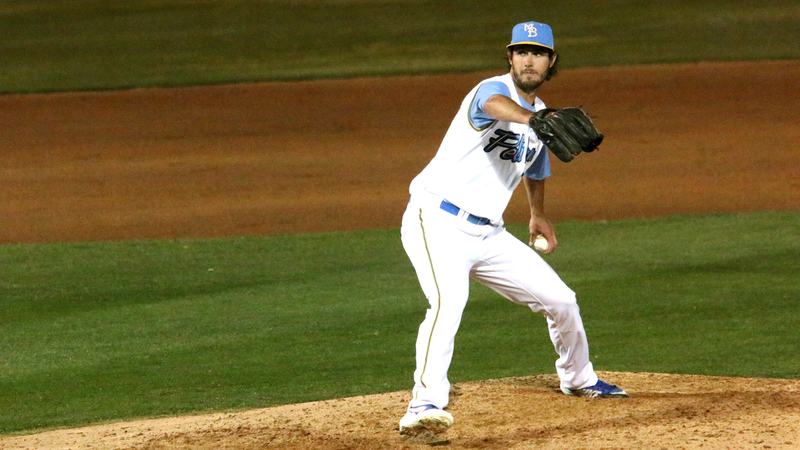 Ryan Kellogg fired two scoreless innings out of the bullpen for the Birds in the loss. Next, the Pelicans meet with the Down East Wood Ducks for the first game of a three-game series on Monday for a 7 p.m. contest. The Pelicans will send RHP Keegan Thompson (0-2, 4.44 ERA) against Wood Ducks' RHP Emerson Martinez (2-2, 4.32 ERA). Coverage begins at 6:45 p.m. on MyrtleBeachPelicans.com/Broadcast, TuneIn and the MiLB First Pitch app. ABOUT THE PELICANS: The Myrtle Beach Pelicans are the Class A-Advanced affiliate of the Chicago Cubs and play their home games at TicketReturn.Com Field at Pelicans Ballpark in Myrtle Beach, South Carolina. The park has ranked in the top eight in all of Minor League Baseball by Stadium Journey in six of the last seven seasons. The same publication also placed the Pelicans in the Top 100 Stadium Experiences and the best in the Carolina League for six of the past seven seasons as well. In June 2017, TicketReturn.Com Field at Pelicans Ballpark won the 2017 TripAdvisor.com Certificate of Excellence award. The Pelicans have won four Mills Cup Championships, including claims to back-to-back titles in 1999 and 2000, and again in 2015 and 2016. The Pelicans have made 11 postseason appearances behind 13 half-season Southern Division championships, including the first half of the 2015 season, second half of 2016 and first half of 2017. For more information on the Myrtle Beach Pelicans, please contact the Pelicans at (843) 918-6000 or emailing Info@MyrtleBeachPelicans.com.